The World Trade Center in New York is officially opened. The World Trade Center was a large complex of seven buildings in Lower Manhattan, New York City, United States. It featured landmark twin towers, which opened on April 4, 1973, and were destroyed as a result of the September 11 attacks. 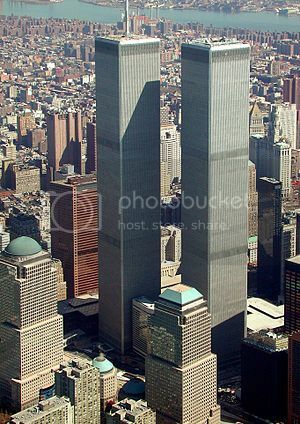 At the time of their completion, the “Twin Towers”—the original 1 World Trade Center, at 1,368 feet; and 2 World Trade Center, at 1,362 feet were the tallest buildings in the world. The other buildings in the complex included the Marriott World Trade Center. All these buildings were built between 1975 and 1985, with a construction cost of $400 million. The complex was located in New York City’s Financial District and contained 13,400,000 square feet of office space. The World Trade Center experienced a fire on February 13, 1975, a bombing on February 26, 1993, and a robbery on January 14, 1998. In 1998, the Port Authority decided to privatize the World Trade Center, leasing the buildings to a private company to manage, and awarded the lease to Silverstein Properties in July 2001. On the morning of September 11, 2001, Al-Qaeda-affiliated hijackers flew two Boeing 767 jets into the North and South Towers within minutes of each other; two hours later, both had collapsed. The attacks killed 2,606 people in and within the vicinity of the towers, as well as all 157 on board the two aircraft. The World Trade Center complex was rebuilt over a span of more than a decade. The site is being rebuilt with six new skyscrapers, while a memorial to those killed in the attacks and a new rapid transit hub have both opened. One World Trade Center, the tallest building in the United States, is the lead building for the new complex, reaching more than 100 stories upon its completion in November 2014. This entry was posted in Uncategorized and tagged World Trade Center by admin. Bookmark the permalink.